If you think the waits at airport security are bad now, just wait until summer. That's the warning from American Airlines, the latest in a growing chorus of Transportation Security Administration critics who say the agency isn't doing enough to make sure passengers make their flights. "The lines at TSA checkpoints nationwide have become unacceptable," American spokesman Ross Feinstein said in a statement Wednesday. "The result: our customers are waiting in TSA lines greater than one hour." And the problem got "exponentially" worse in the first three months of the year, normally slow times for air travel, he said. During the spring-break week of March 14-20, nearly 6,800 American passengers missed flights because of checkpoint delays, with the worst cases occurring in Los Angeles, Miami, Atlanta, Dallas and Philadelphia. "As we approach spring and summer, we are concerned that these lines will grow even longer," Feinstein said. The warning came a week after the director of Seattle-Tacoma International Airport threatened to replace TSA personnel with private security contractors. Atlanta's Hartsfield-Jackson International Airport is considering doing the same. A Chicago aviation commissioner told the Chicago Tribune that the lines at O'Hare International Airport were "severe" and that the city was pushing the TSA to shorten them. The uproar puts the TSA -- created in the aftermath of 9/11 -- in a tough spot: make sure no terrorists get on a plane, but also avoid inconveniencing millions of law-abiding travelers while fighting budget cuts. The agency is struggling to find the right balance. As the number of fliers have increased, its staff of screeners has shrunk. Last summer, its acting head was reassigned after undercover investigators smuggled weapons, fake explosives and other contraband through checkpoints at dozens of airports. The TSA says it has since tightened operations and improved inspections. It has pushed more people to sign up for its pre-screening program. A TSA spokesman cited recent terror attacks in Brussels and a hijacked airliner in Egypt as examples of a challenging "threat environment" in which American transportation networks are considered high-value targets. 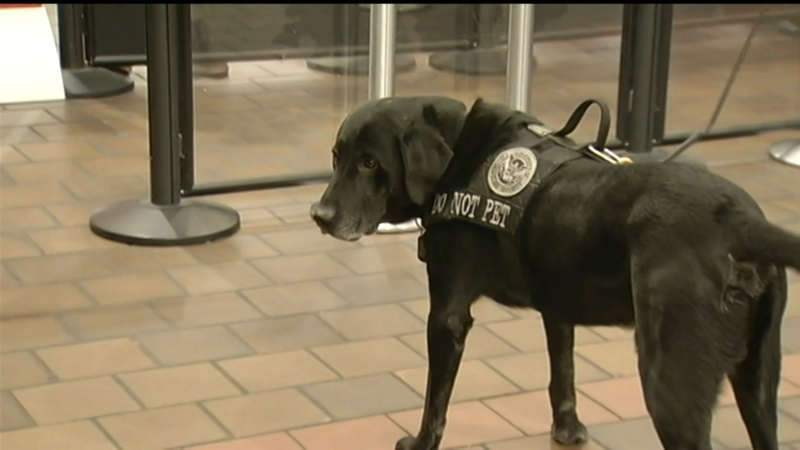 With double-digit increases in travel expected at many airports this summer, the TSA is planning to expand the use of bomb-sniffing dogs along with "accelerated hiring" and more overtime staffing, the spokesman said. The TSA has fought to stem budget cuts and this year has asked for money to hire 300 additional screeners, which would represent a minuscule increase for a staff of 42,525. So the agency still recommends showing up at the airport two hours before a flight's departure. "Traveler security is TSA's number one priority and we will remain intensely focused on this important mission," the spokesman said.